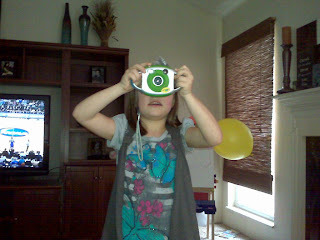 Today Madison broke out one of her favorite gifts from her birthday - a camera. It goes without saying this warms my heart. I know how enjoyment photography has brought the McHawes family through the years. Hopefully she catches the bug like so many other McHawes family members have. A few minutes after this picture, I had my camera out trying to catch a couple wildlife photos, I turn around and there she is with hers! Loving it. This is the picture of the day.